“A combination of swing, suavity, and good-natured bluesiness … the spirituality of a Freddy Cole performance does not shout itself at you, but soaks in like an after-hours ambiance. The voice casts a spell of smoky nuance and coziness”. 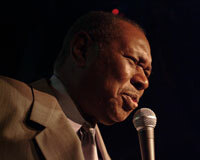 (JazzTimes Magazine).As Rex Reed of the New York Daily News pointed out, “Freddy Cole has moved into the front ranks of Jazz-oriented night-club performers with a style and a musical sophistication that is uniquely his own”. Lionel Frederick Cole, born in Chicago, Illinois, was the youngest of five children. It was his mother who was the musical influence of the family. Freddy´s father was a pastor in the church and his mother played the piano and directed the church choir. According to Freddy, he was “just a normal kid, into baseball and football”, growing up on the South-side of Chicago. He followed the family tradition and began playing piano at the age of six or seven while developing his voice in the church choir along with the other Cole children. As a child, Freddy´s real dream was to become a runningback in the NFL. “I sang choir” remembers Freddy, “but they had to catch me first”. Freddy played with various bands in high school, performing for concerts and dances in the mid-40´s. “Even before my injury, used to get these little groups together”, recalls Freddy, “we probably didn’t even know A-flat from B-flat …I remember the first $50 I ever made. I guess you’d call it my first professional job. I was about fifteen years old”. When Freddy was eighteen, after one of his early local jobs at Chicago’s Capitol Lounge, he went on the road. His tour was cut short by his mother’s insistence that he continue his education, so Freddy returned to Chicago to further his musical education at the Roosevelt Institute. Nat was a major influence on Freddy´s music, along with Earl Hines, Oscar Peterson and Teddy Wilson. It was through Nat that Freddy came into contact with other Jazz giants such as Count Basie, Dizzy Gillespie and Sonny Greer. With their encouragement, Freddy applied to the Julliard School of Music. In 1951, when Freddy was accepted at Julliard, he moved to New York City, the country´s cultural mecca and hotbed off Jazz and bebop. Freddy´s first gig in New York was at Cafe Society on the East Side. 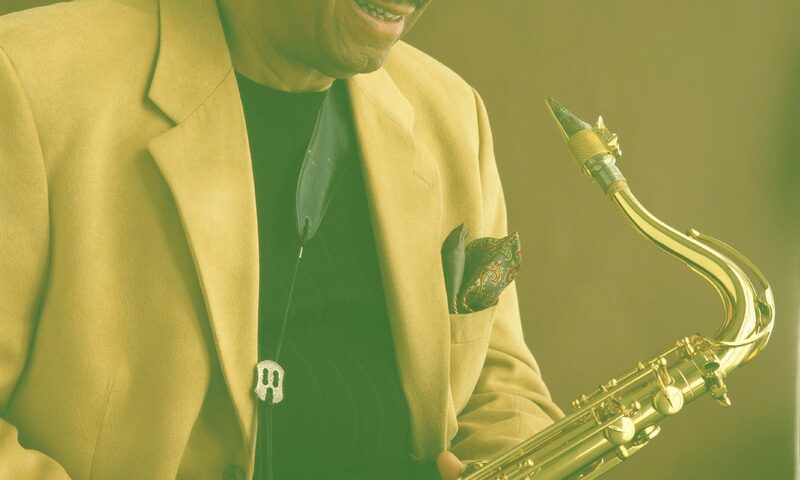 His first mild hit came in 1952 with “Whispering Grass.” While in New York, Freddy met an worked with such Jazz greats as Kenny Burrell, Kenny Durham, Al Hibbler, Shirley Bassey, Lester Young and John Coltrane, to name a few. After Julliard, Freddy went on to study at the New England Conservatory of Music in Boston. After graduating in 1956 with a master´s degree, Freddy struck out on his own, doing a stint whit Billy Eckstine and Earl Bostic before setting out a globetrotting tour that took him around most of the world. As a recording artist, Freddy´s first endeavors were single cuts. He had an early hit on a small label with the song “The Joke’s on Me”. He recorded several cuts on Okeh Records in the early 50´s, but his main concentration at that time was on learning, through his formal studies and also by absorbing the sounds around him. Freddy has continued recording and performing and making a living in Jazz since that time. Throughout his career Freddy has recorded an impressive amount of albums, both in the U.S.A. and overseas. During the nineties he recorded a series of fine CD’s for Milestone(Love makes the Changes, To the ends of the Earth, A Circle of Love, I want a Smile for Christmas, Always), produced by his old friend Todd Barkan. Freddy was signed by Telark Records in 2000, who put out Merry Go Round (Grammy nominated in 2000), Rio de Janeiro Blue (2001), and In the name of Love (2002). His last recordings, for Highnote Records, are This Love of mine (2005), Because of You (2006) and Music, Maestro, please (2007). “I believe phrasing is one of the most important parts of singing”, imparts Freddy, both verbally and by example. A critic once said: “Suave and elegant, he uses those inimitable tones for maximum effectiveness in swinging things or in one of his silky-smooth ballads. Cole again proves he is tops among song stylists, and always a highpoint is his fine piano playing … Freddy Cole always hosts a sensuous evening of superb songs, wrapped charmingly in a presentation of class, poise and finesse.